Brothers Jay and Kevin McLaughlin opened their first store 32 years ago at 74th Street and Third Avenue on New York's Upper East Side. 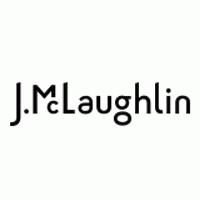 From the moment the doors opened J.McLaughlin established itself as a classic American brand featuring a flair for bold colors and signature prints. The McLaughlin brothers share a passion for classical design and historical architecture, and, in partnership with Doug Larson of Larson and Paul Architects, they have created a different J.McLaughlin storefront in each town. Located in friendly neighborhoods where shoppers can easily stroll, each store is designed to become woven into the fabric of each tight-knit community while maintaining the distinctive J.McLaughlin look. Inside and out, the stores are architecturally inspired by the community, evoking a vintage atmosphere, and invitingly decorated with fine woodwork, antiques and comfortable furniture upholstered in bright florals, soft tweeds, animal prints and other distinctive fabrics.